With over 3 million members across the country in over 100 councils, the Girl Scouts of America means more than just Thin Mints–it’s the world’s largest organization for young women. 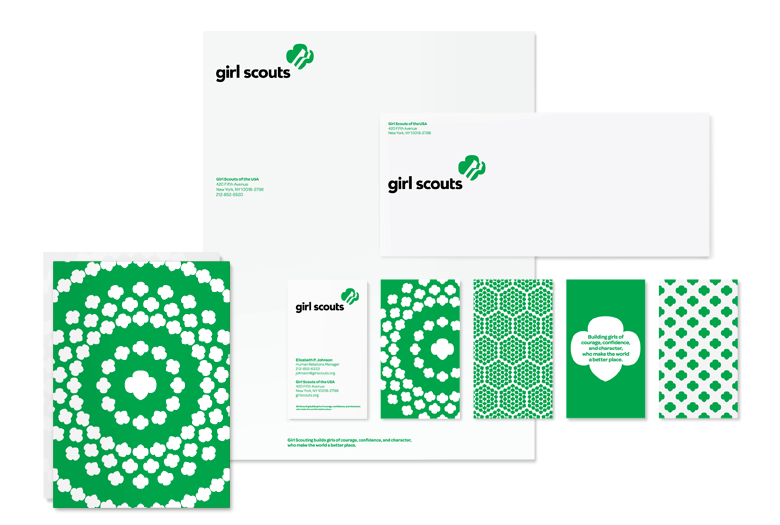 As part of a new strategic decision to better engage girls with more relevant programming and activities, the Girl Scouts received a much-needed identity update by The Original Champions of Design, Jennifer Kinon and Bobby Martin. Notable, but subtle, are the changes to the “trefoil” shape (yes, that’s the same logo that’s rendered into a tasty shortbread cookie). The existing logo was drawn by logo great Saul Bass in 1978, but has become decidedly dated when it comes to the scouts’ hairstyles and elongated faces. Kinon and Martin worked with illustrators Joe Finocchiaro and Jasper Goodall, adding more stylish, youthful bangs and more realistic, perky noses to make these girls more like the young scouts of today. Playing with the trefoil pattern was another way to create a fun, graphically interesting take on the recognizable shape. Each Girl Scouts Council means business; there are over 100 councils in the U.S. and each is its own corporation. That nice green is PMS 355: Girl Scout Green. 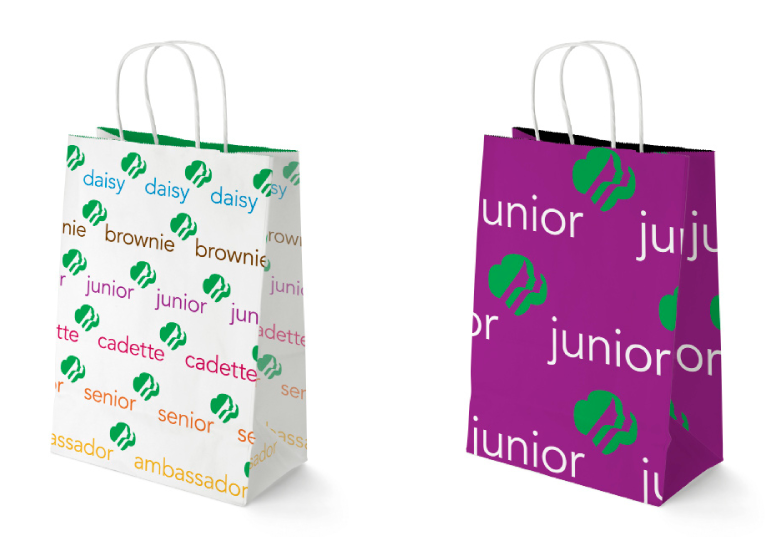 By 2012 the Girl Scouts will celebrate its 100th anniversary with a smart new look that hopefully appeals to a new generation of girls and young women. And yes, let’s hope it sells plenty of cookies as well.